The box turtle (Terrapene), is a genus of turtle native to North America comprising four species largely characterized by having a domed shell, which is hinged at the bottom, allowing the animal to close its shell tightly to escape predators. North American box turtles are omnivores with a very varied diet with insects, earth worms, millipedes forming a good portion of their diet, but the diet also consists for a large part of vegetation, with fruits being a favorite. 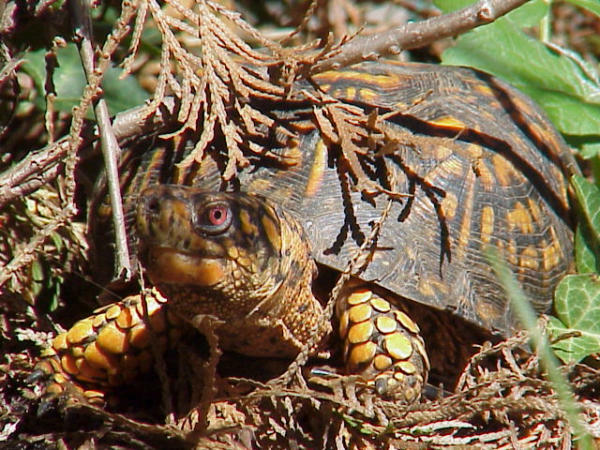 Asian box turtles are turtles of the genus Cuora in the family Geoemydidae and comprise 10 - 11 species with about the same number of subspecies. The genus occurs from Assam throughout Southeast Asia and central to southern China northeastwards to Japan, and southeastwards to Indonesia and the Philippines. Here you may post messages or questions pertaining to all aspects and issues regarding the keeping, breeding, health, and conservation of species and subspecies of Box Turtles.